You are here: Home › Economy › How to make Gwadar a vibrant economic and port city? How to make Gwadar a vibrant economic and port city? Investment facilitation and provision of public services are considered top priorities of new and emerging economic cities. Unfortunately, this is not the case in Gwadar, claimed to be developed as a new economic and port city. If you are a potential investor trying to figure out who is leading the infrastructure development, business policies and urban planning in Gwadar, it would not be an easy task! The blurring of institutional boundaries and targets has made the game of credit claim and shifting blame very easy. Currently, there are several investment regimes operational in the city namely the Free Port Zone, Special Economic Zone, Export Processing Zone and Industrial estate of the provincial government. One may argue that every economic city has different investment regimes according to the sectors they want to attract to a specific location. But the investment regimes in Gwadar are neither an outcome of any deliberate planning process nor all of them are connected through a coordination mechanism as is the case in economic cities. A review of success and failure of new economic and port cities informs that governance and institutional arrangement of such cities hold key significance. Sheznhen and Dubai’s success is largely owed to strong and capable city governments. Reversing the argument, studies on the failure of SEZs in Africa, India, Thailand and many other cities highlight that mere tax exemptions are not enough to promote investment. In our context, this essentially raises a red flag on the assumed success of similar incentives; no matter they are floated as part of the CPEC regime. Besides, like all major cities in Pakistan, Gwadar is also facing land speculation and lack of basic services due to poor and fragmented governance. Such social and economic environment is certainly not conducive to attracting domestic and international investment. Dr Ishrat Hussain is working on institutional reforms in the country. We suggest focusing on Gwadar as new cities provide an opportunity for experimentation and innovation in governance. However, in this context it is important to keep in consideration the weaknesses of hitherto exercised traditional regional policies. The basic objective of the traditional approach was to temporarily compensate the lagging regions, identified on existing administrative boundaries through subsidies and rebates administered by the central government. However, the low success of such schemes has led to the development of modern place-based strategies which aim to tap into the under-utilised potential of a region. Based on functional economic area definitions, using a mix of hard capital (such as infrastructure) and soft capital (credit availability, entrepreneurial support, etc) through involvement of all state governance tiers; central, provincial and local, with participation of both the public and private sectors a more viable system can be designed. This essentially means finding an out-of-the-box solution in our context. Our study on institutional and urban design provides a road map for reforming institutional and urban design of Gwadar city. 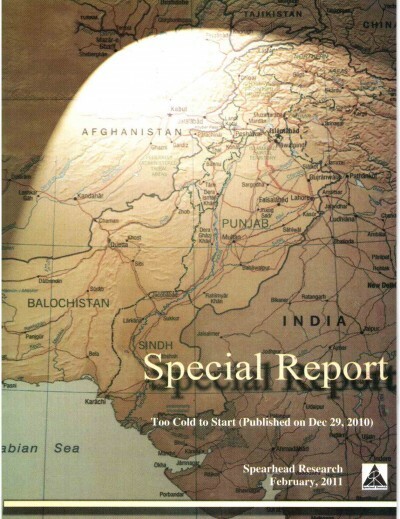 Based on the review of international economic and port cities, field work in Gwadar, and insights gathered from key experts and policymakers in Pakistan, we propose a different administrative setup; Special Administrative Region (SAR) under the chief minister of Balochistan thereby consolidating many federal, provincial and local functions under the new administrative regime. Under a SAR status, the regions have generally more powers than a local government authority and act as a sub-provincial autonomous region. This may appear more challenging in terms of acceptability by different stakeholders. Under this model, a council comprising businessmen, local community, local politicians, and professionals of integrity having demonstrated experience in public service may be constituted to govern the city. The council may appoint a chief executive (or the mayor of Gwadar) who would report to the council and all other agencies would fall under the office of the mayor. The consolidation of powers under the mayor would possibly allow quick decisions. The council can be given specific mandate to undertake changes in relevant zoning and taxation matters in Gwadar city. Furthermore, sufficient representation from the local population will only benefit such a council and ensure that any recommendation for the city’s governance has its roots in the local culture. The current dilapidated state of public service delivery highlights that Gwadar’s government needs sufficient space to earn revenues from the local economic activity to make much needed investments in infrastructure, education and health. Some experts have suggested that the federal government should share some percentage of the port revenues with Gwadar in order to develop the much-needed infrastructure and services. In order to become a sustainable urban centre, Gwadar needs to develop an economic development strategy in consultation with all stakeholders. Such strategy needs to emphasise four major areas; (a) business facilitation in Gwadar, (b) connectivity of Gwadar with the rest of the country through roads, rail networks and reliable internet facilities, (c) service delivery in the areas of water, education, health and prosperity of indigenous population, and (d) the city’s financial management system. There is a need to develop partnership with a reputable international forum for commercial adjudication, arbitration and dispute resolution system for businesses operating in Gwadar. This will be the most important reform to make Gwadar an investment hub in Pakistan. In Pakistan, the Land Acquisition Act of 1894 gives the government power to safeguard the land for greater public purpose at a ‘just’ compensation. Another important feature to include in this arrangement is to make the land available to private players for lease only and not for purchase under specified zones. The city government should discourage property speculation by imposing taxation/penalties on un-built property after a given timeframe. To avoid making Gwadar a product of past mistakes in urban development within the country, policy-makers need to be vigilant in ensuring that the local population is not put at a disadvantage. In order to do so, the driving philosophy should be ‘participation of the local population in the development and governance of the city.’ The current master plan of the city stipulates that the local Gwadris will be relocated from the West Bay to the new location which is yet to be decided. This has created uncertainties and reservations amongst the local population. If Gwadar is to grow equitably, the state needs to acquire sufficient land for housing of local population closer to the city centre, building schools, colleges and universities, so Gwadaris do not have to travel far for education and training. A detailed study needs to be commissioned to involve anthropological experts and the local community to identify precisely what constitutes Gwadar and the port’s heritage and should be considered for preservation through creating land zoning tools like developing special historic and cultural zones for preservation, conservation and where necessary adaptive reuse. Instead of relocating and demolishing the city’s old fishermen town on the WestB, it should be preserved to serve as a pedestrian friendly, tourist village that can give the city’s new residents and visitors a sense of the place Gwadar was before it became an economic/port city. It can help Gwadar create its distinct identity and a grounded, historic urban character and brand itself as a city with a rich cultural heritage.